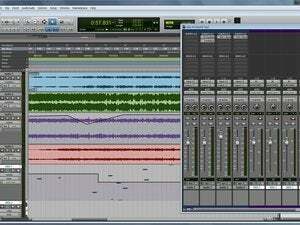 This is one of the premiere programs for music creation, recording, and production. 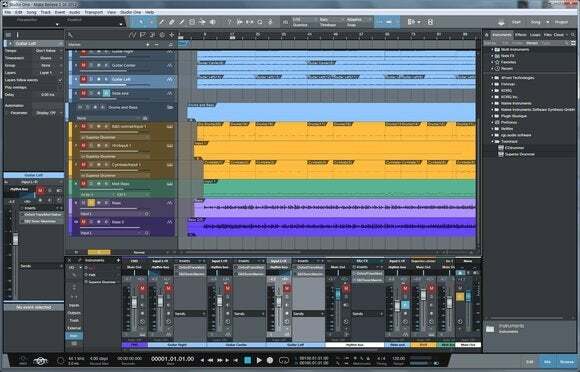 When PreSonus dipped its toes into the high-end digital audio workstation (DAW) market a few years ago, it was a bit of a surprise. The market was thought saturated, nothing major had appeared in years, yet the company’s Studio One 1.0 proved almost immediately popular. Introducing the more efficient paned interface and drag-and-drop that industry mainstays Cubase, Logic, Sonar, and Pro Tools lacked proved enticing. It also didn’t hurt that Presonus bundled Studio One with its top-rated audio interfaces. Over the last five years, the competition has remedied most of their interface issues, while Studio One, now on version 3.2, has caught up with them in terms of features. It’s now as powerful as they come, but adding features has exacerbated what was always a problem--visual overload and ambiguity. That’s partly because of the sheer number of features, but also because of the way they are presented. There’s a lot to take in, and even once you know Studio One, it can be tricky on the eye. Studio One is very powerful, but it can also be daunting to find and focus on the feature you need. But if you’re willing to put in the time becoming fluent with it, Studio One will reward you, and reward you big time. There’s really nothing musical it can’t do, and the audio engine and effects sound nothing short of fantastic. There are three flavors of Studio One, and one of them is a startlingly capable free version—Prime. Though only 32-bit, there are no limitations on the basics such as number of tracks, record resolution, etc. And yes, it does save. It lacks support for transient warping and grooves (templates that capture the feel of a passage and apply it to other material), doesn’t support third-party plug-ins, lacks folder tracks, and is missing a number of other features found in the pay versions, but still... Free? Wow. Next up the ladder is Studio One Artist at $100 in download form. It’s 32-bit as well, and you can use only the decidedly generous array of effects and instruments that it ships with. Unless of course you purchase the VST/AU/ReWire unlock add-on for $80, which still leaves it quite the bargain. Beyond that, Artist delivers most of the major creative features (even a trial of Melodyne) of the $400 (download) Pro version. The $400 papa bear is 64-bit with all the bells and whistles, as well as the ability to use third-party VST and AU (Mac version) plug-ins out of the box. It also contains a complete project section for putting together your album; VCA faders; a license for Melodyne Essentials (for precise correction of all aspects of audio); a flood of content and software instruments; as well as a free license to the iPad control app. 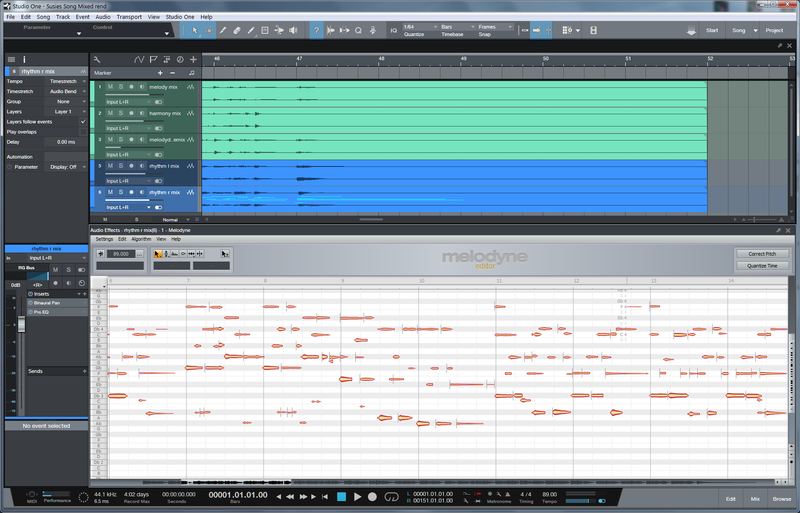 Studio One Pro and Artist tightly integrate Celemony’s Melodyne for editing audio material. The Editor version is shown, but Studio One Pro ships with Melodyne Essentials. With the free Prime and generous educations discounts, it seems pretty clear that the Presonus is gunning for greater home/student adoption. With its own high-end mixing boards and audio interfaces that integrate with the program, the company is also treading on the toes of Avid’s Pro Tools in the studio space. 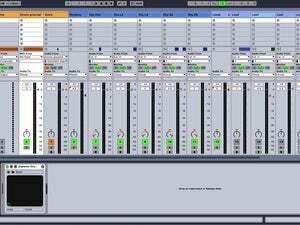 Studio One is a great DAW (digital audio workstation, aka MIDI/audio recording application) that compares favorably with Ableton Live, Cubase, FL Studio, Logic, Reason, Sonar, Pro Tools and others in terms of power and sonority. 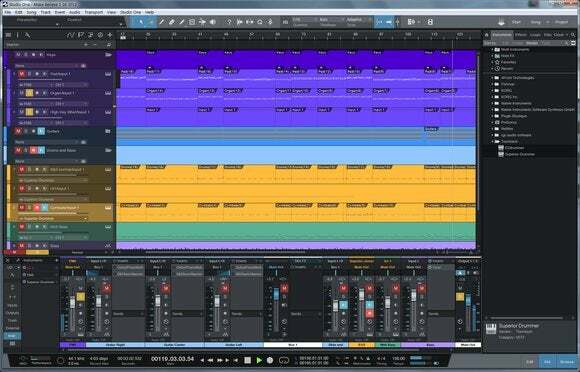 Presonus is also very generous about adding features, fixing, and upgrading Studio One without charging for it. And Prime? What can I say. Unlimited tracks, basic audio and MIDI recording/editing and a lot of sounds for free. That’s just impossible to beat right there. $180 for the Artist version with add-on support for third-party plug-ins is a steal as well. My only wish is for a visual makeover that makes it easier to locate and focus on what you need. Better delineation and decreased density are the concepts I’m throwing out there. Regardless, this program is a beast, and I mean that in a good way. Note: Studio One was not the first DAW with a paned interface. Studio One is arguably the most powerful DAW on the market with tons of tools for creation, production, and even mastering. It's 64-bit engine (pro version) and effects sound fantastic, and the editing tools are myriad. But the program long ago relinquished its claim of "power without complexity": The learning curve is steep, largely because there are so many tools and options, and the overabundance of too-similar screen elements makes finding the feature you need far more time-consuming than it should be. Still, the power is there, the results are stunning and the surprisingly competent free version is a boon for the struggling musician.